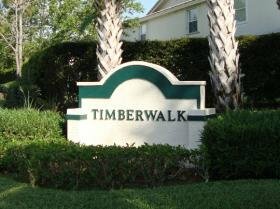 Timberwalk is a gated community located in the heart of Jupiter, just off Indiantown Road and Tony Penna Drive. Timberwalk features 220 townhomes built between 1999 and 2000. The homes range between 1,100 and 1,500 square feet and feature two to three bedrooms and 1-car garages. Timberwalk has one of the lowest HOA in Jupiter and is located in excellent schools zones. Walk to shopping, restaurants and Publix. 5 miles to Jupiter's perfect beaches. Community offers a pool, cabana area, clubhouse and tot lot. MOTIVATED SELLER!! Timber walk is a gated community with community pool and playground. Beautifully redone three bedroom Townhome. End unit with one car garage. New furniture in living room for sale. Covered screened patio. Tile downstairs and Bamboo upstairs. New appliances, hot water heater, granite counter tops. A/C 2015. Located by owners gate and easy access. Very low HOA fee.